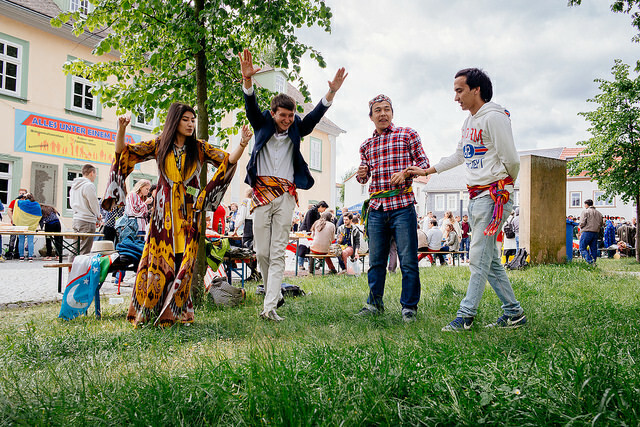 International Student Week in Ilmenau – ISWI e.V. ISWI – those four letters do not only symbolise the name of our association, they are also the abbreviation of our major project: the “International Student Week in Ilmenau”. The ISWI is a conference for students organized by students. It is, compared to other similar events, known for its large share in work concerning its topic. The official language of the conference is English. The International Student Week in Ilmenau takes place every two years since 1993. It is the biggest international student conference in Germany. Meanwhile we look back on nine ISWIs and we hope, that there will be many more. Each ISWI has a main topic, which is deeply analyzed by working groups, discussions, as well as speeches and debates during the student week. We invite well-known experts, who support the discussions by their personal experience, their knowledge and their ideas. The aim of our conference is an exchange of cultures, professors, experts, students and guests. We want to bring many different people together to discuss a high variety of problems, to think about solutions and to translate them into action. To complete the conference there is also a big cultural programme including an International Brunch, parties and several music concerts.